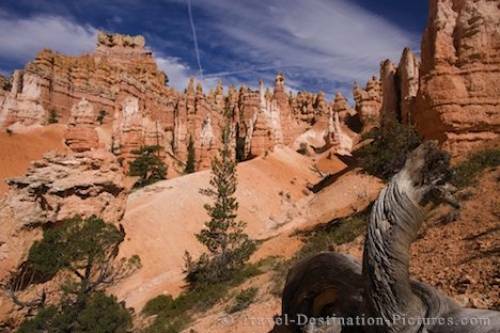 A treasure trove of geological wonders best describes the sights along the Queens Garden Trail in Bryce Canyon National Park in Utah, USA. Although the high altitude of more than 6000 ft may affect the individual physical fitness its always worth to take the 4 mile hike through the Queens garden trail and navajo loop trail in Bryce Canyon NP. Trail in Bryce Canyon National Park in Utah.